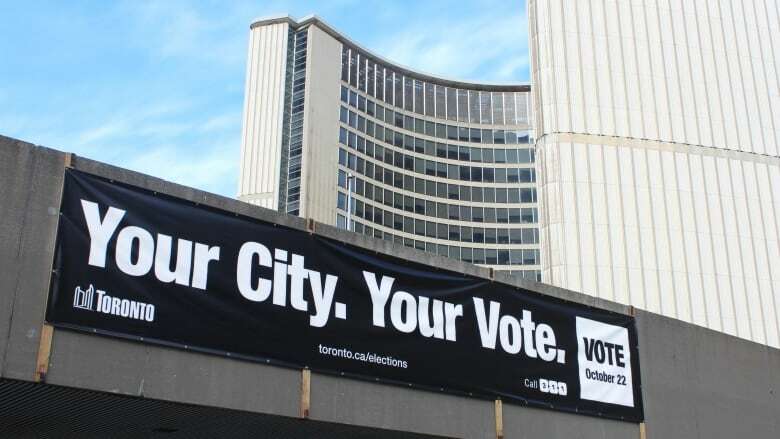 Questions that addressed some of the issues that concern us were sent to each of the Ward 6 Councillor candidates who had their contact info on the City’s election website. We received five responses before last night's deadline. Candidates who had not responded promptly were sent a reminder. Mark Grimes, Robert Gunnyon and Peggy Moulder did not send answers to FOSS. Thanks to those who did. If you vote in the new Ward 3, please take a moment to look at the following answers which are presented in alphabetical order. They may help you make a more informed choice. We receive constant complaints that there is no public washroom in the park when, in fact, there is - in the Power House. It is only open during the winter skating season. Will you push Toronto Parks to keep it open at all times? Amber Morley: Two issues are central to your question - The first, in my view, is related to wayfinding. The city needs to be more responsive to people who are not aware of the washroom facilities are in the park. A few easy fixes, including signage and adequate lighting can help people find these facilities. The second focal point needs to be accessibility – the public washrooms just are not accessible, or at least seem to be purpose built for skaters. I think opening the facilities outside of skating hours will help people who enjoy using the park to be able to have access to a public washroom. However, this will need to be done in a way that ensures safety, security and maintenance standards of such extended hours - particularly when the park gets dark. Maintenance and security should be top of mind, particularly since the park has experienced bouts of vandalism. I am absolutely committed to convening Parks, Forestry & Recreation staff and well as a group of residents and patrons of the park, to discuss a range of possible solutions to the washroom accessibility issue in the park. Iain Davis: Yes. I think we need to consult further about the use of the power house. I think it could be a more active hub within the grounds. Certainly the use of the washrooms can be expanded with adequate security. Michael Julihen: Yes. Good idea. Also, there should be more signs to indicate to the public where the washrooms are and how to access them with an indicator of the distance to them from the signs. Pamela Gough: Yes, the park is used extensively in the summer, spring and fall as well as winter and there needs to be a public washroom that is open in all seasons. How would you deal with the increasing concerns many of us have around vandalism, night fires/parties and off-leash dogs in the park? Amber Morley: I think we must be proactive in creating a park environment that facilitates safety, and appreciation of nature, and mutual enjoyment for all in the park. With that said, I would take a four-pronged approach to activating the park in a way that mitigates negative or destructive activities. 4. Increased by-law enforcement and animal control enforcement – This is meant to be a proximal deterrent and reminder to those to please keep dogs on leash when in the park, and please clean up after your pet. Additionally, with increasing number of people living in buildings who need space for dogs to run - it would be important to consider nearby locations for dog parks so dog owners have an incentive to let their dogs off leash in a more appropriate area. Iain Davis: The site certainly needs to be monitored and patrolled more often. I am also seeing evidence of people sleeping in the rough on the spit. This poses additional concerns and I want to make sure that people have a safe home to go to. Michael Julihen: Very concerned. Maybe two or several security guards could patrol the area at all times the Park is open, and to make sure that all behaviors are acceptable. Pamela Gough: I would push to increase the presence of community policing in the park, as well as increased enforcement of bylaws by the city bylaw officers. Svitlana Burlakova: Safety, prevention of crime &vandalism and fight with it will be one of my main priorities if I am elected. We have to get police patrolling the areas of concern more often. There are always additional options – installations of video cameras, fence. The means always depend on the community, what people will decide. And we as residents, citizens have to take control of our streets, parks and report dangerous behaviour. We will hold accountable those authorities who are responsible to react quickly and efficiently on peoples calls and complaints about disturbing and wrong behaviour. The other side of this problems and solution to it - we have to look if there are enough places for young people and youth where they can apply their skills involving in positive activities as sport, hobbies and motivate them for self-development. And if it is not, we have to create such opportunity for them. In regards to the problem with off-leash dogs parks, I will work in the direction of creating such places. As an elected member of Toronto City Council and a custodian of a precious resource, what will you do to preserve biodiversity and natural heritage in your ward and across Toronto? Amber Morley: It will be very important to activate the park in a way that promotes respect for and stewardship of our natural spaces. Public education measures will be key, as will organizing educational activities and school groups to purposefully develop a connection between young people in the community and the park as a natural bio-diverse space we all share. I believe Parks, Forestry & Recreation staff as well as community groups like yourselves will need to play a key role in this kind of space activation. I believe there are opportunities to look at other natural and built spaces in the City as examples of good practice (and of areas for critical learning) including the Evergreen Brickworks, and High Park. Iain Davis: As a waterfront councillor I think that water quality and water habitat and shoreline protection are paramount. We need to work with the conservation authority and private property owners to manage the shoreline and to ensure that federal, provincial and local laws and regulations are enforced. At the city level the enforcement of the sewer use by-law and investing in waste water infrastructure are important. My concerns are not just for Sam Smith, but for the Humber River, Humber Bay, the Mimico Creek, the Lake Ontario shoreline and the Etobicoke Creek. I also think that we need to be more vigilant in protecting the city's tree canopy. One of the downsides of lot-splitting in Long Branch is the destruction of mature trees. South Etobicoke is important for migratory birds and they need trees and the Sam Smith spit for resting. Michael Julihen: Biodiversity is to be preserved. Pamela Gough: Samuel Smith Park is an important natural area in Toronto, offering valuable habitat for both migratory and breeding birds. It is known as the #3 hotspot for viewing birds in Toronto. In total 268 different species of birds have been spotted in Samuel Smith Park. This is a testament to the value of the area, and the need to preserve it. 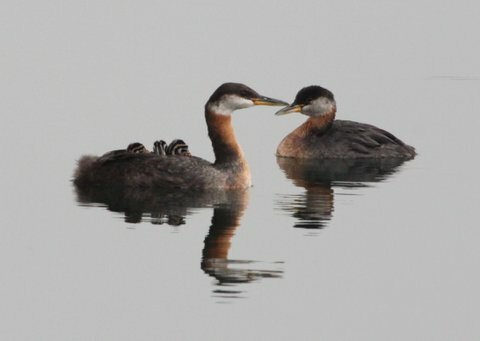 As councillor, I will strongly protect the natural areas of this park from encroachment and will work to preserve and increase the park’s valuable natural features, such as the nesting area of the rare Red Necked Grebe. The park is the most easterly known location of this Prairie nesting species. Svitlana Burlakova: The main threat for biodiversity in the urban environment is climate change, global warming, pollution, overpopulation. We must take care of our environment. Implement new technology that safer for environment, use biodegradable materials. We have to keep our streets and roads clean. All these actions will be on my agenda. As well as create new green spaces and maintain and preserve what we have already. I will promote increase of our knowledge of environmental issues, our awareness of the impacts of biodiversity loss and implement policies and actions that conserve our valuable ecosystems. Without biodiversity there will be no agriculture. Biodiversity concerns have to be integrated into all areas of policy-making. Measures include market incentives, development assistance and biodiversity-friendly trade. Parks are often seen as a place for primarily active pursuits. Please state your views about the value of easily-accessible quiet, natural green spaces for passive activities that promote mental health. Amber Morley: I think parks can and should be both – a space for activation as well as spaces that facilitate contemplation and introspection. They are not mutually exclusive. The key is working with all stakeholders to understand the various ways people come to enjoy the park, and develop an activation plan that considers these varied uses, while also being mindful on the environmental impacts of any planned activity in the park. With a park the size of Sam Smith - I would look to find ways to develop areas where the community can organize and be active, while protecting areas for quiet introspection. Iain Davis: We have a lot of active parks and my preference is for these to be located adjacent to schools wherever possible. As for passive spaces, as I mentioned I am a frequent user of Sam Smith Park and the waterfront trail. Our family frequently walk together and chat about our day. It is a great way to wind down. I find that dog walking is very therapeutic and it is also a great way to meet neighbours and to socialize. I know that dog walking can conflict with birds, but there needs to be a balance. Michael Julihen: I often walk in the Islington park enjoying the trees and nature (many squirrels) and the small creek that exist catering to ducks. Nature, a small part of it, is there. And I sit on the benches to relax. I enjoy this. I enjoy nature and peace and quiet. So I fully endorse quiet park areas for relaxation. Pamela Gough: It is well known that proximity to natural areas increases human mental and physical health. It’s vitally important for Etobicoke to preserve its natural parklands and wildlife habitat areas. These, along with the ravine systems along the Humber River, Etobicoke Creek and Mimico Creek, create wildlife corridors that are important for plant and animal biodiversity, including provision of breeding grounds and migratory pathways for birds. These areas also act as places where humans can go to replenish their spirit. Children, in particular, need to have connections to natural places and frequent exposure to nature in order to stave off what author Richard Louv has called “nature deficit disorder”. Svitlana Burlakova: Passive activities as walking, jogging, meditation are getting more popular every year. I support the idea of a passive recreation areas, it requires minimal development, can be provided at a low cost to communities with no adverse impact on natural habitat. The same time it is very helpful to the mental and physical health. What is your overall vision for green space, particularly along the waterfront, in Ward 3? Amber Morley: Growing up on the Lakeshore, I was always able to depend of having access to beautiful green and blue spaces nearby to keep me grounded and connected to our beautiful natural world. Having access to the lake and our natural environment is important. I see a community that refuses to lose its connection to our green spaces, and is purposeful in our stewardship of those spaces. I see natural spaces in our community activated to support the diverse ways that citizens enjoy nature both on land and in water (bird watching, hiking, boating, swimming, dog walking etc.). I’m mindful of the increasing development happening along the lakeshore, and will work with residents, park patrons, stewards of our lake and natural spaces, and developers to always consider the impacts of intensification and increased density on our community and the biodiversity that exists in Ward 3. Iain Davis: Humber Bay is an important natural resource and it can and should be a refuge for the condo dwellers in Humber Bay Shores as well as for other city dwellers. It is a destination park with some amenities but we need to maintain it as a passive place to retreat from the city. Likewise the banks of the Humber River. I would like to see more fishing and kayaking along the Humber. The Humber River is important to the history of this area and indigenous and European settlement and trade and we need to restore this great river to its former glory. The linear park along the waterfront is a great addition to the Lakeshore but we need to make sure it is adequately monitored. Sam Smith is a hybrid between a busy education campus (two schools and a growing college) and the passive naturalized areas to the south. The transition occurs at the power house which could be enhanced as a meeting place/city resource centre. Inside the basin there is the potential for another boating club and I think we need to discuss the future of the basin before any further development occurs. The beach at Marie Curtis needs better grooming so that the public can enjoy a relaxing day at the water’s edge. Michael Julihen: It is good to have green spaces and to be able to access them. I used to go to Harbourfront downtown which I liked. If The Waterfront of ward 3 can accommodate more green spaces along its shores, and as a way of preservation, we should proceed with this. Green spaces are needed; they are part of daily living. They are good for healthy living. Pamela Gough: I am in favour of preserving natural areas and if possible increasing naturalized areas along the lakeshore in southern Etobicoke. I’m strong protective of the Martin Goodman waterfront trail as well. Having served on the Toronto Region Conservation Authority, I’m cognizant of the importance of stewardship of nature. Svitlana Burlakova: I see the Waterfront as enjoyment place for the residents of Etobicoke as well as tourists. We have to make waterfront attractive with walk trails. We have to balance green spaces and residential area with minimum impact on nature habitat. In Burlington they built pierce (piers? ), maybe we can have beautiful pierce (piers) of our own. Would you be willing to share publicly the City’s future plans for the newly refurbished Power House and also invite public input in to those plans? Amber Morley: I am always willing to have conversations with constituents regarding matters that impact them. I believe in community engagement processes that start and end in the community, and local planning processes should not begin without first engaging with community members to inform that process. The residents, who will be regularly enjoying the Power House and associated facilities, should have input into the planning at the front end of that planning process. Iain Davis: Yes. of course. Michael Julihen: I do not know the City’s plans for the newly refurbished Power House, but public input is always important. Svitlana Burlakova: Transparency and accountability are on my agenda. We have to involve communities in the process of making decisions as much as possible. I will share all news with the communities and will always seek public opinion and input to make right decisions including use of the Power House. I really appreciate reading answers from the candidates in my neighboring Ward 3, since there is a natural connection between Wards 3 and 4 natural heritage within a larger area of waterfront such as Sam Smiths Parks, Humber Parks,Humber River Marsh and High Park as these are vital for migratory birds and play important role within the city as remaining wildlife habitats and biodiversity hot spots. There is a fair amount of attention given to protection and enhancement of natural areas. Under today circumstances, when Toronto is the fastest growing city in north America, we, indeed, need to learn and work fast to stop further slide of biodiversity and decline of natural heritage. Some of the natural areas such as Sam Smiths Park, Humber River Marsh and High Park also share being designated as Environmentally Significant Areas(ESA) and/or Areas of Natural and Scientific Interest (ANSI). This is very important distinction, as these areas were identified for containing significant natural features, fauna and flora so valuable, to be protected for the long term and future generations. All these place also share increasing stress from development, overuse resulting in degradation, lack of enforcement, need of more public education, signage, impacts of recreational activities in relation to lack of public education, etc. If we are to preserve these special places and their ecological function for future generations, we need to pay more attention to the problems, learn and act immediately to do better. Our vision of sustainable city depends on this and us. How are Environmentally Significant Areas protected? Environmentally Significant Areas are particularly sensitive and require protection to maintain their unique environmental qualities. Development and site alteration is not permitted in Environmentally Significant Areas and activities are limited to those that are compatible with the preservation of their natural features and ecological functions, such as managed trails and viewing areas. Environmentally Significant Areas exist within a larger connected natural system and cannot be viewed in isolation. Continued protection of this larger system is important to sustain Environmentally Significant Areas in the long-term and is an essential part of protecting biodiversity within the City of Toronto and beyond. Mark has his ideas about the park but does not want to share just like the secrecy regarding the powerhouse. Time for Mark to move on.